W.F. Hann & Sons is considered a leader in exceptional residential and commercial AC repair work, AC installation and AC service throughout the Greater Cleveland Metropolitan Area and Northeast Ohio. Homeowners and business owners have been bringing all their AC service needs to W.F. Hann & Sons since 1907. We are distinguished for delivering outstanding efficiency and productivity and our clients understand that we are dedicated to ensuring that their AC installation is always performing well. W.F. Hann & Sons is aware how out-of-date air conditioning systems can cause problems and create unnecessary expenses. This is the reason we are committed to providing our customers with the most reliable solutions at a fair price. When our AC repair professionals take care of your ailing air conditioning, you will be amazed at how much better and economically your systems work. Whenever Cleveland Heights business owners and homeowners are looking for excellent AC repair, AC installation or AC service, W.F. Hann & Sons is the only name they need to know. Situated in Cuyahoga County and considered to be an inner-ring suburb of the Cleveland Metro Area, Cleveland Heights, Ohio has close to 45,000 residents. W.F. Hann & Sons, at 26401 Miles Road in Warrensville Heights, is nine and a half miles southeast of Cleveland Heights. Cleveland Heights residents know they can count on the W.F. Hann & Sons’ NATE (North American Technician Excellence) certified technicians to help them get the best AC installation and AC service available. When there is AC repair work that needs to be done, Cleveland Heights clients contact one of our AC service technicians to handle their AC repair and AC installation needs. In fact, W.F. Hann & Sons will not only meet the expectations of their Cleveland Heights customers, but they will consistently exceed them. W.F. Hann & Sons is well-known for treating their clients fairly and honestly when it comes to AC repair work, AC installation and AC service needs. Our technicians are fully licensed, insured and skilled professionals in the areas of commercial AC service, AC repair and AC installation. W.F. Hann & Sons We are acknowledged for placing our residential and commercial clientele first and foremost. Moreover, our team is dedicated to working within the confines of your schedule, and we protect your residence and office by wearing foot coverings, utilizing drop cloths, disposing of any debris and removing all AC service equipment. You can always depend upon W.F. Hann & Sons to deliver only the best, most professional AC installation, AC repair and AC service maintenance in the industry. Call W.F. 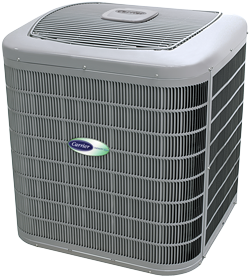 Hann & Sons at: (216) 831-4200, today, to set-up an appointment for the best in AC comfort and dependability. What’s more, we are available 24/7 for those unexpected emergencies that pop-up at any time of night or day.